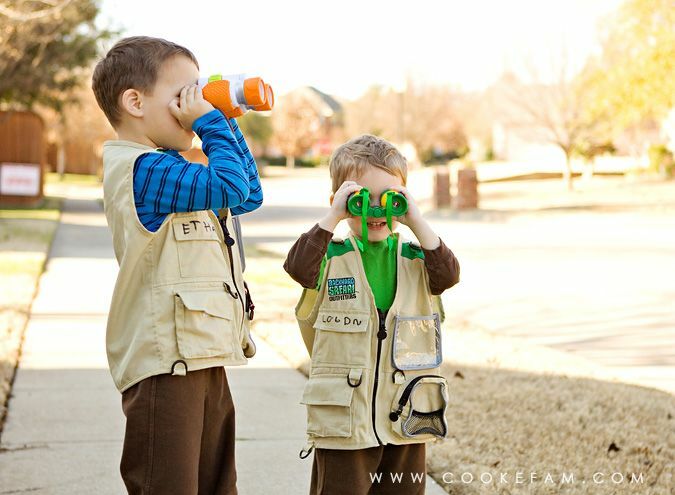 My mother in law got each of the boys an explorer vest for Christmas. 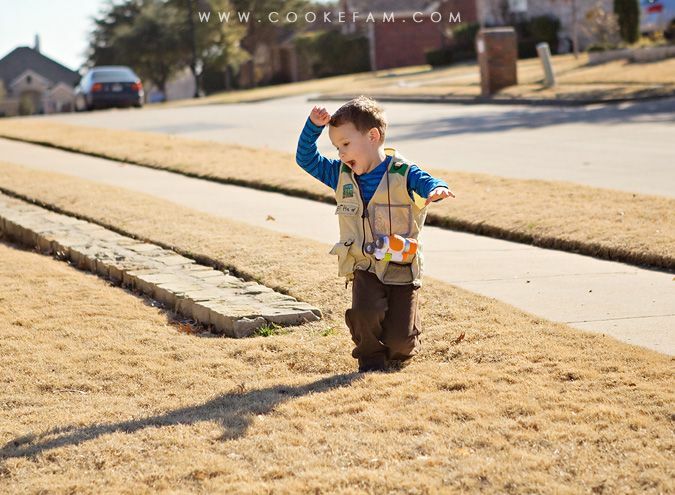 They both love to dress up and they both love to collect things outdoors. 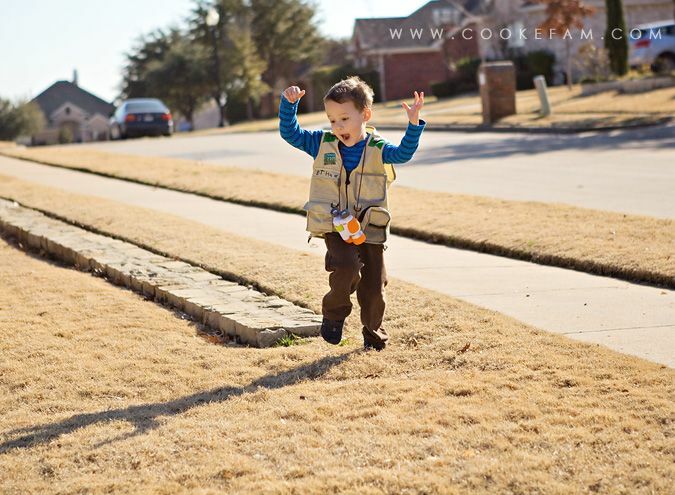 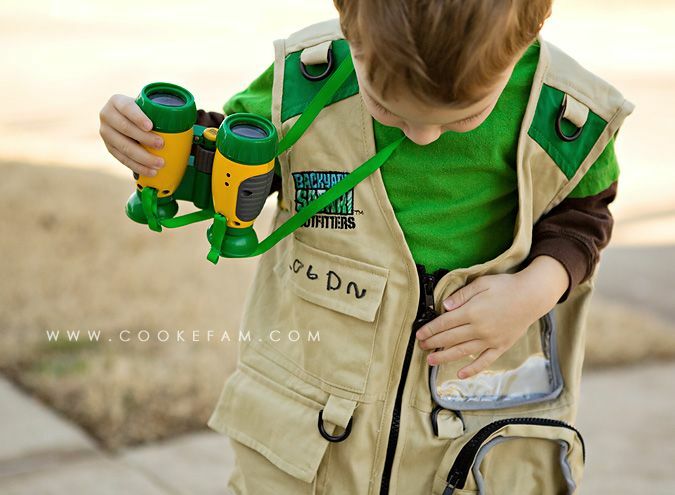 So, these vests, with tons of pockets, that make them into "explorers" for the day are so much fun for them. 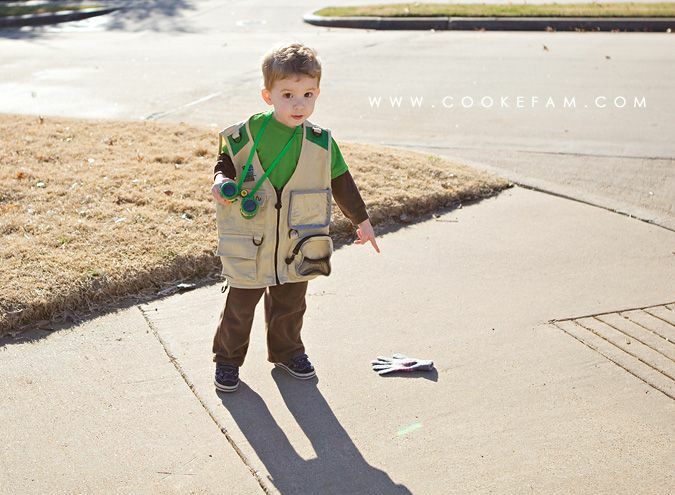 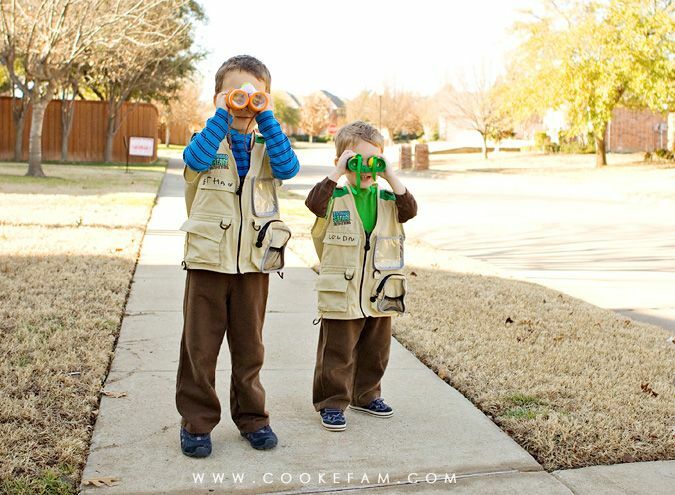 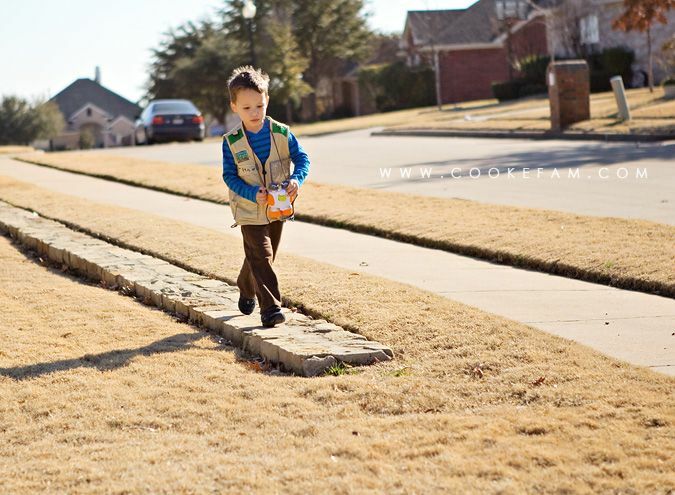 Paired with their binoculars, the vests have come out on several exploratory journeys around our neighborhood. 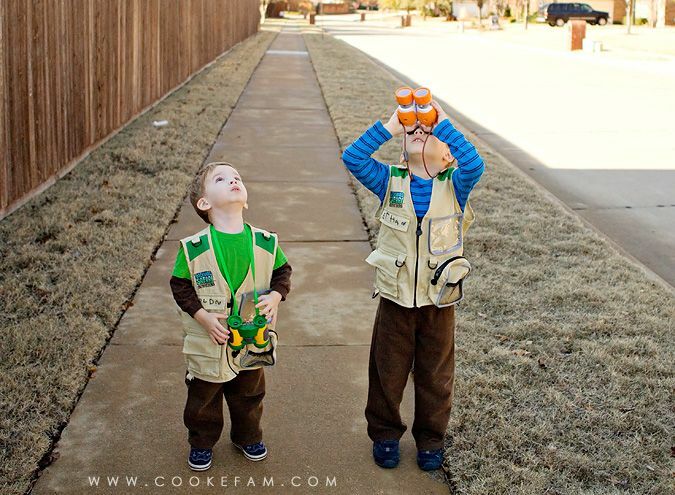 Logan almost always holds his binoculars upside-down and backwards. 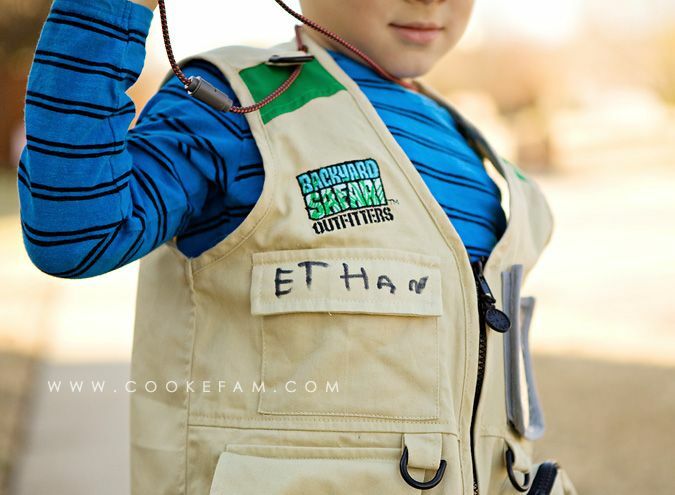 ...and Logan's name on his vest for him. 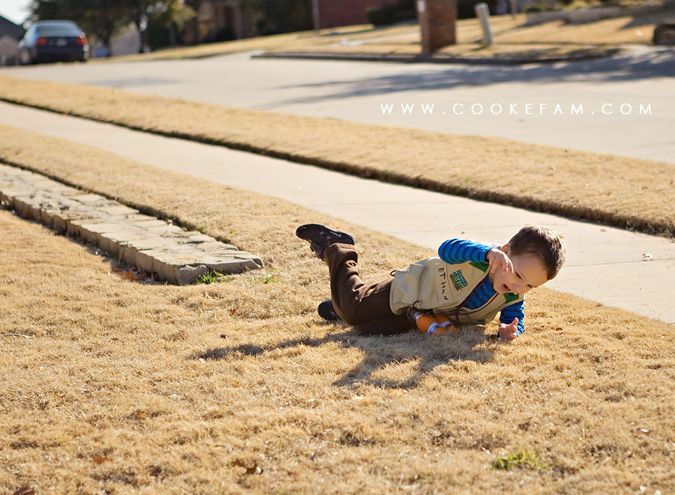 I found a stick, mama! 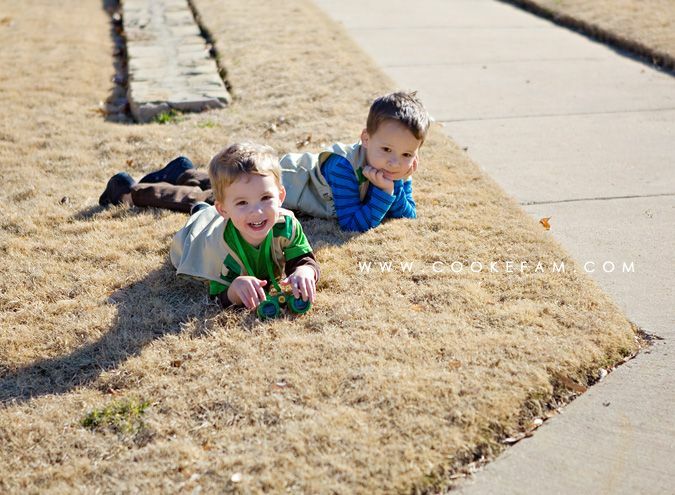 After a brief rest on the ground in the warm sun, they were back on their feet exploring. 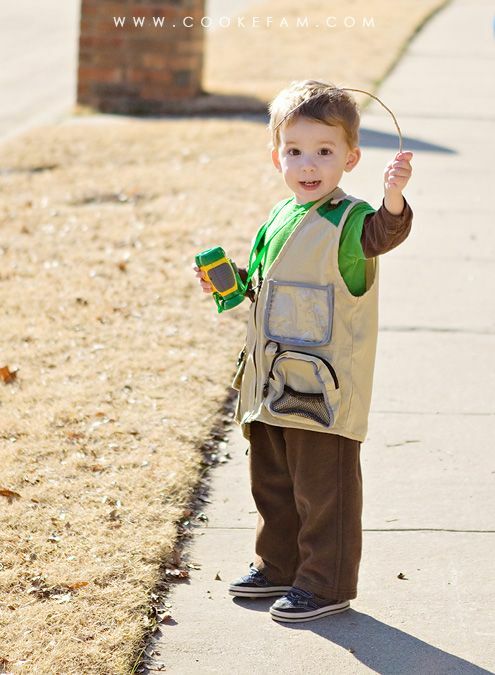 They made it home with leaves, acorns, and at least one flower from a weed in their many pockets.